What’s New in Autodesk 2014? The new Autodesk line-up is focused on helping you innovate by bringing the cloud and desktop together to create a seamless workflow that allows you to communicate, share and design with teams located anywhere. In addition, Autodesk in improving the value of the Design Suites by making it easier to create 3d designs from both laser scans and digital photos. Incorporate products or the environment, even if you do not have the design documentation. Here are some of the other new features for 2014. No need to start from scratch in designing. With Autodesk recap, you can bring in the actual job site or product through the laser scan or digital image to start with points, then add, modify, validate and document from there. Another addition in most Suites is AutoCAD Raster Design. This powerful vector conversion software will allow you to take advantage of raster images, maps, aerial photos, satellite imagery, and digital elevation models by enabling you to edit, enhance and maintain scanned drawings or plans. With Autodesk 360, the power of your Autodesk solutions are multiplied. Design, visualize, simulate and share your designs and ideas with anyone from anywhere . New tools are added each year and for 2014 the awaited addition, Autodesk Infraworks 2014 has been included for the infrastructure Suite and Building Design Suite customers. This tool, formerly known as Infrastructure Modeler, assists engineers with BIM adoption for planning, design, construction and management of civil infrastructure projects. See the Autodesk 2014 Introduction Video. Read the Autodesk Press Release. Our Solutions Engineers will be publishing the new features during the month of April. Subscribe to get all the updates. 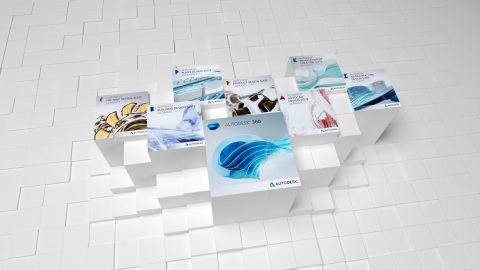 Have questions about the 2014 product line or Autodesk 360? Contact us by email, by phone (800.836.5440).